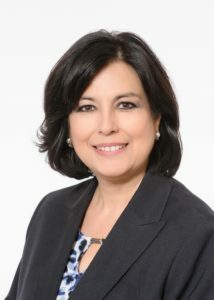 NACOGDOCHES, TX - The Nacogdoches County Chamber of Commerce Friday Luncheon is 12 to 1 p.m., March 29 at The Fredonia Hotel and Convention Center, 200 N. Fredonia St., with guest speaker Dr. Sylvia A. Leal, Senior Program Officer for Education and Economic Development at the T.L.L. Temple Foundation. Dr. Leal, pictured left, will share an overview of the Angelina Nacogdoches Area Manufacturing Council. The council is bringing leaders in manufacturing together to build sustainable partnerships and to address the shared workforce and broader competitive needs in manufacturing. Dr. Leal is responsible for identifying and implementing a comprehensive approach to improving education and economic development through philanthropic initiatives that support the T.L.L. Temple Foundation’s goal to alleviate poverty and build a thriving East Texas. In addition, Dr. Leal continues her lifetime work to seek and develop innovative initiatives that support first-generation minority young people to access and complete postsecondary credentials and degrees leading to sustainable employment and economic development. Event Gold sponsors are Harry's Building Materials, Inc. and SERVPRO® of Lufkin/S. Nacogdoches County. All attending the Chamber's luncheon on March 29 may enter the $50 drawing sponsored by Commercial Bank of Texas, and all Chamber members are entered in a $250 drawing sponsored by Axley & Rode, LLP, but you must be present to win. Lunch is $20 for Chamber members and $24 for non-members. Attendee RSVPs are requested by 4 p.m., Wednesday, March 27.